News for my dear Londoners! 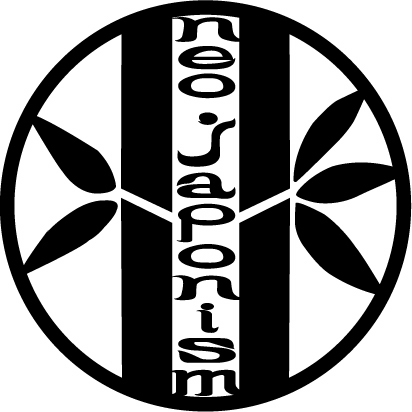 "Neo Nipponica" at the V&A on Friday the 27th.May. Come and try! I hope to see you all!! More details, please read through below!! I would just like to remind you of next calligraphy workshop in Bad Säckingen on Sunday the 25th.October. 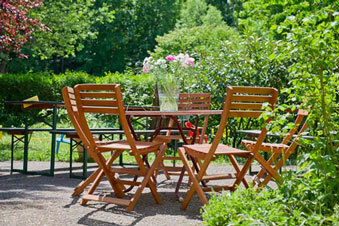 It is a great location for those who lives in Switzerland, South West Germany and France Alsace. Hope you are enjoying the summerly heat and the smell of rain drops. from this Sunday the 29th.June to the 21st.September 2014. 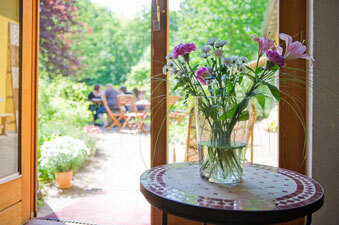 Why don't you pop in and relax in beautiful nature?! 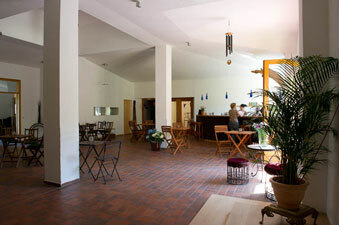 Seminarhaus is at the feet of Schoenberg mountain directly at the forest. It is such a nice place to be and relax. You can go for a walk, your kids can play around in the playgrund and the woods too!! 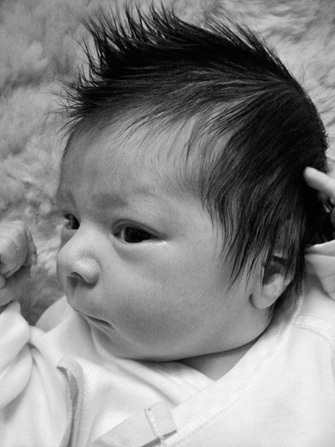 Finally I present you some info! 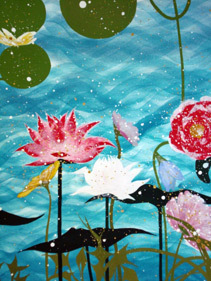 ( inspired by spring-summer time ) and an original work are shown. they seem very refreshing and colour-energetic in the space. 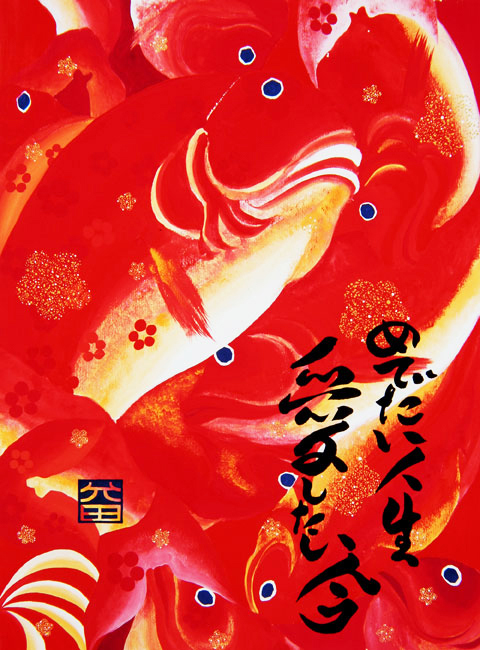 and enjoy the art works as well as the best Sashimi in town!! Wish you a positive flow for your senses. 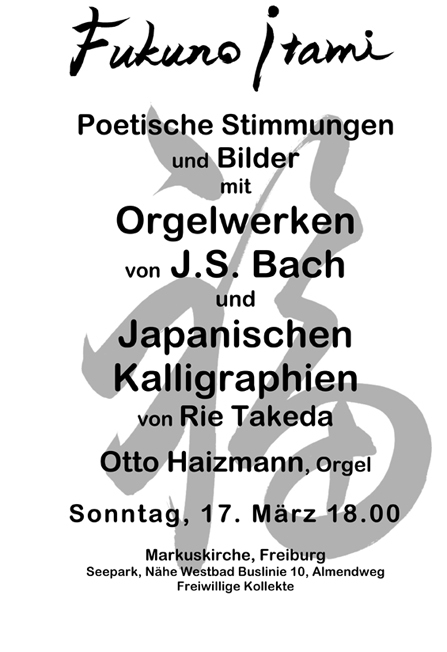 Thank you very much for coming to the Bach & Calligraphy concert on Sunday! 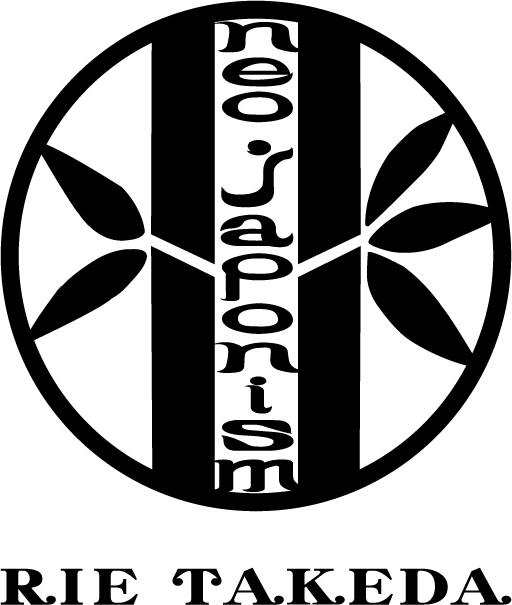 donated to SAVE THE CHILDREN JAPAN -11.March Child Protection and Recovery Program. We thank you for your compassion and help. I will update some pics from the Bach & Calligraphy concert soon!! 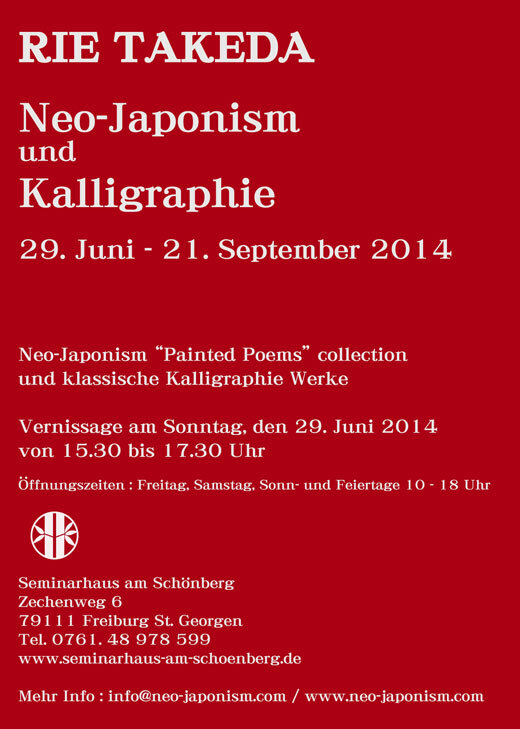 "fukuno itami, poetic voice and pictures"
am Sonntag 17. März um 18 Uhr in der Markuskirche* einladen. Unter dem Titel "fukuno itami, poetische Stimmungen und Bilder" spielt am Sonntag 17. März um 18.00 Otto Haizmann in der Markuskirche Freiburg ( Seepark, Nähe Westbad, Buslinie 10 ) ein Orgelkonzert mit Werken von J.S. Bach. 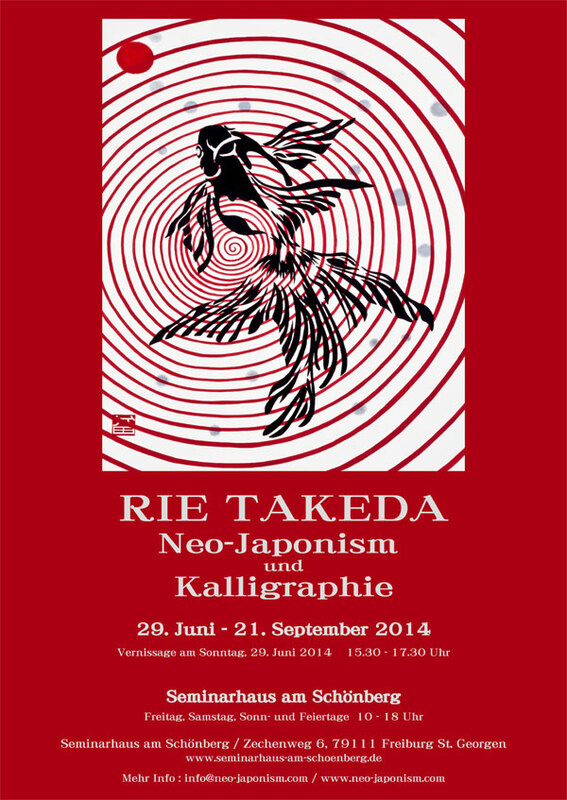 Dazu werden eigens für das Programm gestaltete Kalligraphie der japanischen Künstlerin Rie Takeda gezeigt und erläutert. 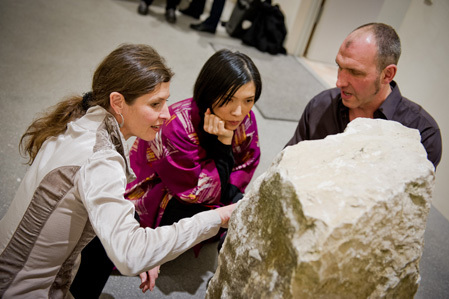 "fukuno itami, poetische Stimmungen und Bilder"
um eine freiwillige Spende für die Erdbebenopfer 3/11 in Japan wird gebeten. on this Sunday the 22nd. April from 10.30 to 12.00am. It would be great if you could pop by for the last viewing!! My online shop has just opened! Finally I have just started listing my art works in my atelier shop! I will be listing most of my art works during the next weeks. Giclee art prints are for sale at the moment. 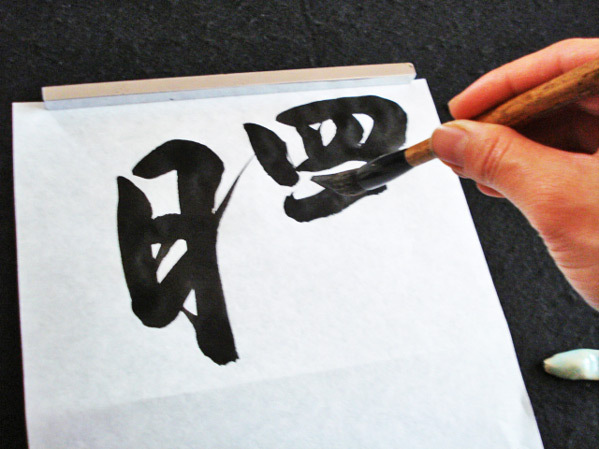 Original calligraphy works will follow too!! Keep your eyes on new updates!! 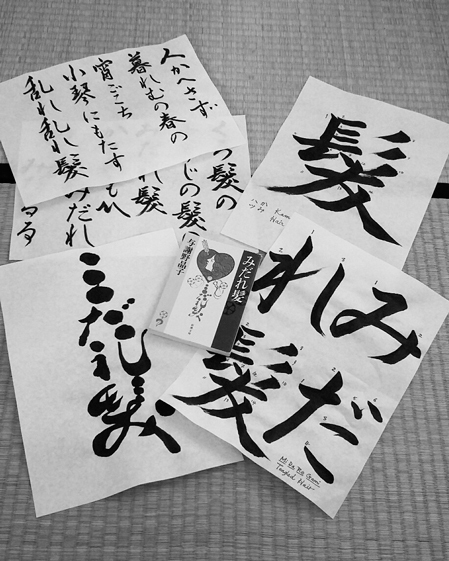 I did the benefit calligraphy on Kodomonohi ( spring children's day ) this month. 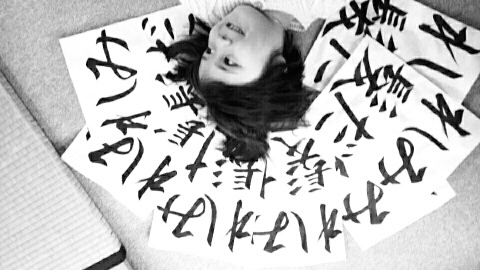 I made specially designed name-calligraphy for many people. I donated around 50 euro to the SAVE THE CHILDREN Japan. The money will be used for mental care & support of children who lost families in damaged area in TOHOKU. I thank you very much for your compassion and empathy. that affect the body and mind. body, feelings, mind and mental qualities - both * in and of * four elements. 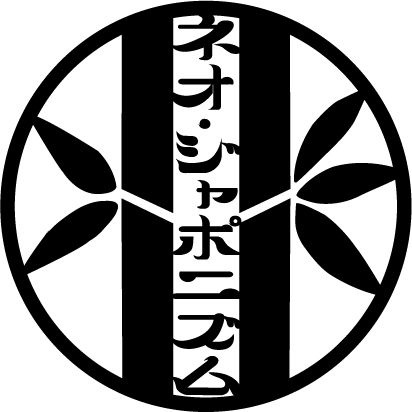 SHOUNEN could be one of the most positive energy indeed we can practice and develop. Yes - all the new paintings are happily finished now! Photographs are taken, frames are here. So I am going to do the framing job for the new collection this week. Do I like the new ones?! Yes- I do! - They look summerly light and also very dynamic! 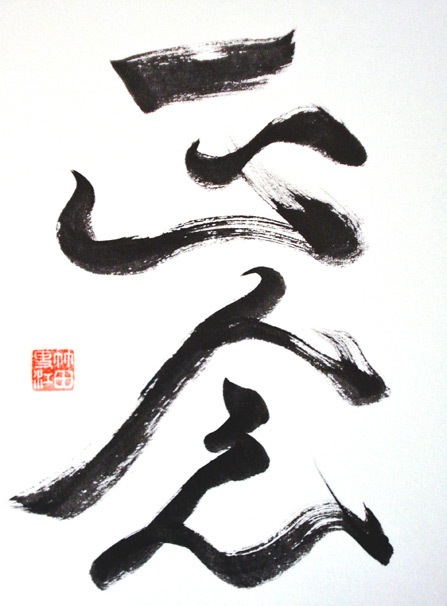 There are some works I experimented first time with the dimensional form of calligraphy. 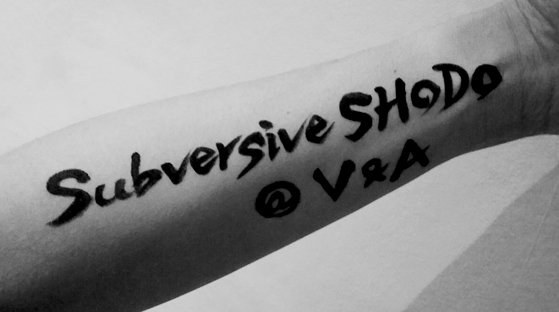 I really wanted try to display the maximum effect both in visual and context from yet minimalistic calligraphy lines. I must say it worked very well. I am happy with the outcome!! Please pop in and have a nice look! I hope you will enjoy them too.
! 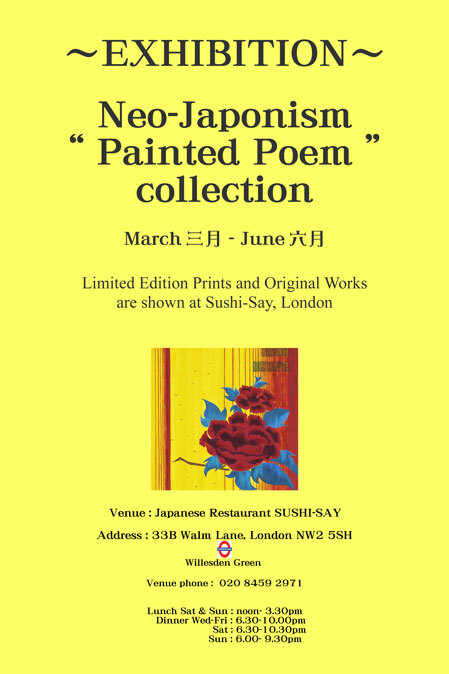 The prices are exclusively reserved only for the preview at the Sushi-Say in London till November 2010.